Start saving as early as you can. However old your children are, if you want to help fund their college education, start saving. 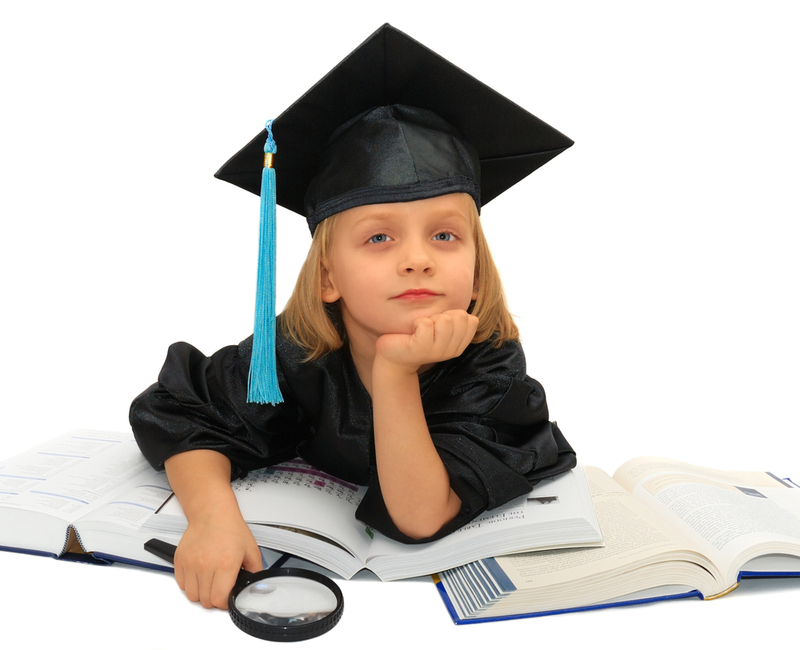 It is never too early, or too late, to start saving for your child’s college. Find more ways to save: Analyze your spending to see if there’s anything you can cut out to increase your savings. Finding ways to save and making cuts can really add up over time. Automate your savings:The simplest way to start saving is to make it easier on yourself. See if you’re able to automatically deposit a portion of your paycheck into a college account or any savings account for that matter. Prioritize your finances:The world doesn’t stop for college savings, nor does the rest of your financial needs. You need to pay off any debt, especially any credit cards or other high-interest debt. You also need topay off your own student loans (if you have any), establish an emergency fund for yourself, and save for retirement as well. What happens when you just can’t financially help? Sometimes the dream of paying for your child’s education is just not within your reach. Or maybe, like some parents, you want your child to pay for their own education to learn how to stand on their own feet and become independent. Either way, there are still things you can do to reduce their student loan debts and how much they’ll have to pay. Motivate them in high school.Work hard to encourage them and keep them motivated during high school. The better grades they have, the more likely they’ll be able to receive scholarships. High grades can also mean they’re eligible for advanced placement courses, which can count toward college credits and therefore reduce the amount of tuition owed. Also encourage them to volunteer and participate in extracurricular activities to increase their chances of getting scholarships. Encourage them to work through high school.As soon as they can get a job, encourage them to do so. This may require your participation, such as driving them to work or helping them fill out taxes when that time rolls around. Have a discussion about what percentage of each paycheck should be put toward college. Help them apply for scholarships.When the time comes, encourage and help them to apply for scholarships. Teach them about student loans.A vital thing you can do for your child is take the time to teach them about financial aid, student loans, what they’ll owe upon graduation, and what that will mean for them in the long run. Help them keep track of financial aid deadlines and make sure your child fills out the FAFSA. This conversation can lead to ways to reduce their student loans while still in school, such as encouraging them to stick to a budget, not misuse student loans, and picking an affordable college to start with. Citizens Bank Minnesota does have a scholarship opportunity where we award two or more scholarships each year to local graduating seniors who will be attending post-secondary education. Scholarship America performs the selection process and administration. This program was instituted at Citizens as a way to show our commitment to the community and our belief in today’s youth. Citizens plans to continue this tradition for years to come! Today, April 25, 2011, we celebrate the introduction of The Savings Force! Our former Junior Banker President, Breezie, has retired and these Superheroes are coming in to teach our youth bankers how important it is to save. Here is a short story of how they came to Citizens! In the village of Bankland, not far from here, lived a young girl named Citi and her best friend, a boy named Zen. They did everything together – riding bikes, playing soccer and just having fun. But their favorite thing to do was searching for adventure, and that’s just what they planned to do. They packed lunch bags with sandwiches and juice. They each had a couple of dollars to spend, just in case they found something they wanted to buy. They set out on their bicycles to a nearby village, named Squanderville, hoping that it was a good place for an adventure. There were so many things to do in Squanderville. They spent the morning exploring the town and decided to visit some of the stores after lunch. The first stop must surely be the candy store. There were shelves full of bins with candy in every one! Some of the local children were buying bags full of candy, emptying their pockets and spending all the money they had. Citi and Zen weren’t sure about spending all their money on candy so they decided to shop some more. The next store Citi and Zen went into was a toy store. It was full of toys, from floor to ceiling – everything a kid could ever want! Again they saw some of the local children emptying their pockets to purchase toys. Citi and Zen saw a few things they wanted, too, but still waited to see what else they could buy in Squanderville. After a few more stores, Citi and Zen looked at each other and realized they didn’t really want to spend their money that day. They decided to save it for something special that they may want to buy in the future. Citi and Zen returned to their homes in Bankland to tell their parents about their adventure in Squanderville. They explained how the other children had foolishly spent all of their money on candy and toys, and how they had decided not to spend their money today, but save it for a special purchase later. The parents told Citi and Zen that they were proud of both of them for being so responsible, saving their money wisely and waiting to buy something they really wanted. Citi and Zen saved their money for several months. They decided to return to Squanderville to teach children there about saving money and how to spend it wisely. But how would they get the children to listen? They knew what to do…their fist stop would be the costume store, where they found exactly what they were looking for- super hero costumes! They would become The Savings Force! Citi became Lil’ C and Zen became Super Z. The Squanderville children gathered to listen while Lil’ C and Super Z explained the importance of saving money. They told of the day they visited the village and watched as many of the children emptied their pockets and spent all of their money on candy, toys and other things. They pointed out that there was nothing wrong with spending some of the money on these items once in a while, but encouraged them to save some for the future. In time, there would be enough money saved to buy something really special! Citi and Zen were happy to help the kids in Squanderville and decided to help other children as well. Before Breezie retired, he invited Lil’ C and Super Z to come to Citizens Bank Minnesota to help YOU learn how to save money, too! We hope you get a chance to meet them – they would love to meet you! !